Oil headed for its longest weekly rally in three months on easing concern over whether the OPEC+ coalition will follow through on its pledge to slash production. Futures gained as much as 1.5% in New York, with gains over the past three weeks totaling about 16%. OPEC’s production fell by the most in almost two years in December before a fresh round of cuts started this month, and Russia is aiming to speed up the pace of its curbs. Prices are still over 30% below a four-year high in October, as record output from the US threatens to undermine the reductions by other nations. Crude has held on to its rally above $50 a barrel for over a week, rebounding more than 20% from a low on December 24. While the Organisation of Petroleum Exporting Countries and its allies are showing signs of clearing a glut, a prolonged government shutdown in the US and uncertainties over the health of the global economy have rattled broader financial markets, reducing investor appetite for risk assets including oil. "It seems the market’s witnessing OPEC’s determination to reduce production and that’s giving comfort to investors," Lim Jaekyun, a commodities analyst at KB Securities, said by phone in Seoul. "For oil to edge higher from here though, the government shutdown in America needs to come to an end, and the market will have to be convinced the economy is improving." West Texas Intermediate crude for February delivery added as much as 79 cents to $52.86 a barrel on the New York Mercantile Exchange, and was at $52.50 at 08:31 in London. The contract lost 24 cents on Thursday. Futures are up 1.8% this week. Brent for March settlement rose 35 cents to $61.53 a barrel on the London-based ICE Futures Europe exchange, after closing 14 cents lower on Thursday. Prices are up 1.7% this week, and are 14.4% higher this month. The global benchmark crude was at an $8.78 premium to WTI for the same month. Production from OPEC’s 14 members slumped by 751 000 barrels a day last month, with just over half the reduction accounted for by Saudi Arabia, according to a report from its secretariat. It’s the biggest reduction since the group launched a previous round of cutbacks in early 2017. Earlier in the week, the kingdom’s Energy Minister, Khalid Al-Falih, said he’s confident the curbs will have a "strong impact" on the market. Russian Energy Minister Alexander Novak said his country is trying to make its agreed cuts faster. The comments came just days after Al-Falih said Moscow’s reductions have "started slower than I like." Russia’s output level, along with that of Saudis, is crucial in ensuring the success of pledged agreement to avert a global supply glut. 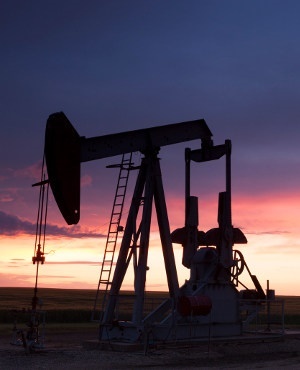 In America, crude production climbed by 200 000 barrels a day last week to 11.9 million daily barrels, the highest level in weekly figures compiled by the Energy Information Administration since 1983. While nationwide inventories dropped for a sixth time in seven weeks, stockpiles of gasoline and distillates rose by more than twice the amount estimated in a Bloomberg survey. Other oil-market news: OPEC compliance with crude oil output cuts rose to 163% in December. The US is likely to allow China, India, Japan, South Korea and Turkey to import Iranian oil past a May 4 waiver deadline, despite recent comment to the contrary, Eurasia Group said in note. JXTG Holding, Japan’s biggest refiner, says its long-term survival is tied to an inevitability: the closing of more refineries.